Free Marwan Barghouti! Free The Prisoners! Free Palestine! On April 17, 1500 Palestinian political prisoners, led by Fatah leader, Marwan Barghouti, who has been held in an Israeli prison since 2002, began a mass hunger strike, the Freedom and Dignity Strike, to protest prison conditions for the more than 6300 Palestinian prisoners held by Israel. Three hundred of them have been in prison for decades. In an op-ed in the New York Times Barghouti stated that the prisoners have been subject to torture, inhumane and degrading treatment and medical negligence and that 200 of the prisoners have died as a result of this treatment since 1967. This strike follows hunger strikes by two individual prisoners in 2016 and a mass hunger strike in 2014 complaining of the same harsh conditions, which even Amnesty International, perhaps to lend itself some credibility, stated is a violation of The Fourth Geneva Convention which requires humane treatment of prisoners from occupied territories. The Israelis hold hundreds of prisoners without trial or under “administrative detention” for indefinite periods of time without charge, and are tried, when there is a trial, by military judges. The majority of the prisoners are held for engaging in political actions including simple membership in organisations declared illegal by Israel, which includes Fatah, though the Israelis have to deal with Fatah on a routine basis. It is surprising that Barghouti was allowed to put his statement in an op-ed piece in the New York Times, a newspaper not noted for its sympathies for resistance leaders, and the strike and Barghouti have received positive coverage in the Israeli left journal Haaretz. It seems someone wants to play Barghouti off against rivals in Fatah and Hamas, and, at the same time, to put pressure on Israeli Prime Minister Netanyahu to come to a peaceful resolution of the conflict between Israel and the Palestinians. Barghouti, a former member of the Palestinian Legislative Council, and political leader of Fatah’s armed wing, Tanzim was recently elected to the Fatah Executive Committee and in 2016 was nominated by Belgian parliamentarians for the Nobel Peace Prize. If freed he would be a natural leader of the Palestinian people and successor to Mahmoud Abbas. He is courageous, intelligent, educated, eloquent, has a long history of resistance to the Israeli Occupation and is seen as the leader of the First and Second Intifadas. In 2004, on the death of Yasser Arafat, Barghouti, from his prison cell, stood for election against Abbas, the favourite of London, Washington and Tel Aviv, who had called for the armed resistance and uprisings to stop in favour of negotiations. Barghouti wanted and wants to continue armed resistance as the only way to be able to negotiate from strength. But Haaretz had another view and reported that Pompeo contradicted Trump, and said the US still supports a two state solution, that they talked about the war in Syria and reported interestingly, that the Palestinian Authority expressed fears that the collapse of the peace process would lead to the collapse of the Authority and the “entry of extremist elements perhaps associated with Iran” that will have repercussions in Jordan and Saudi Arabia. It is in those meetings that we can perhaps detect the reason for allowing Barghouti to have his voice heard world-wide in the New York Times on April 17. Fatah, the Palestinian National Liberation Movement, is in control of the Palestinian Authority in the West Bank under the leadership of Mahmoud Abbas. In Gaza, Hamas, the Islamic Resistance Movement, claims to be the legitimate authority since it won the elections there in 2006, forcing Fatah out of Gaza. 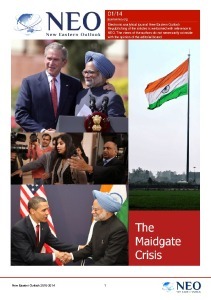 The two groups attempted to form a unity government in 2011 but the arrangement soon collapsed. It was attempted again in 2014 but was undermined by pressure from the United States, Europe and Israel who did not like Fatah working with Hamas, which refuses to recognise the existence of Israel and refuses to hand over its control of Gaza to the Palestinian Authority. The bickering over who has administrative, financial and political control in Gaza and the West Bank between Hamas and Fatah and within Fatah itself on what the strategy should be to achieve the goals of the Palestinian people continues and the split in the Palestinian resistance to Israel only helps Israel. The Palestinian Authority’s latest announcements support the hunger strike because it has no choice but to do so in the eyes of the people but Abbas and Barghouti do not see eye to eye on strategy vis a vis Israel or Hamas and Abbas is probably not happy that Barghouti is once again the most popular man in Palestine. Neither is Hamas which has given lukewarm support to the strike, but is reluctant to lend support to a Fatah leader and reduce its own support among the people. The Israelis of course have reacted as expected. They deny that the strikers are political prisoners and label them “terrorists” and “murderers,” justly convicted under international law, who deserve what they get. They have thrown Barghouti into solitary confinement to try to break the strike. The Israeli Defence Minister Lieberman stated he wanted to use the Thatcher approach to the strike-let them starve to death – which is what happened in 1981 to IRA resistance fighters Bobby Sands and 9 other IRA prisoners held by the British. The principle objectives of the IRA hunger strikers were to be recognized as political prisoners, not criminals, and achieve international support for the republican movement in Northern Ireland. 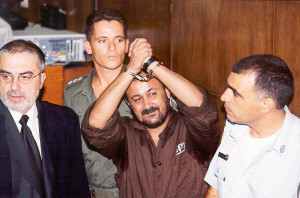 While Barghouti did not explicitly call for recognition of the strikers as political prisoners his eloquent statement expresses the facts proving that they are political prisoners, and he made an explicit link to the International Campaign to Free Marwan Barghouti and All Palestinian Prisoners that began in 2013. It appears some demonstrators have said they will engage in hunger strikes themselves in solidarity with the prisoners. Throwing Barghouti into solitary can only inflame Palestinians everywhere for political prisoners they are, both the Palestinians in the Israeli jails, and the Palestinians kept under virtual siege conditions in Gaza and the West Bank since the ‘67 War. 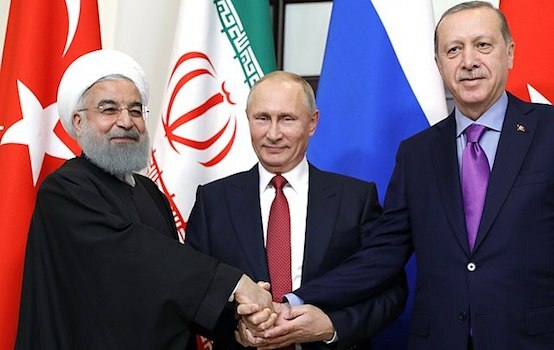 the Israeli-Palestinian conflict.” The Americans don’t want a simmering war against its ally Israel to continue when both countries are intent on continuing the war against Syria and harassing Iran. Trump stated that he wants direct negotiations between the Palestinians and Israelis and it looks like the US is hedging its bets on who the Palestinian negotiator will be. Whoever they finally back we can be sure that they will attempt to control their choice to produce the result they want. Some in Israel think Barghouti is easier to work with than Abbas and Hamas, that he has become more “moderate” in jail. This may be disinformation to weaken his support but perhaps Trump and the Times have been told this too. Most in the Israeli government see him, and fear him, as the potential leader of the Palestinian people; a man who has always fought for the interests, independence and liberation of the Palestinian people and occupied territories of Palestine and is willing, able and ready to carry on the struggle. That is why they fear this strike, and that is why they fear this man, because he is the living symbol of the Palestinian Resistance. We shall have to follow this strike closely, support it, and watch closely the next moves of the United States and Israel in relation to it and the impact on Trump’s desire for peace between Israel and the Palestinians-not so there can be peace in the region- but so the Americans and Israelis can more easily carry on the war against Syria. But Barghouti is not a man to be controlled. Though they have thrown him into solitary after giving him a brief voice in the New York Times, to set a cat among the pigeons, they have unleashed a new energy within the Palestinian resistance which has never surrendered, and never will.